Do you want to unlock your natural ability and provide readings that will be more accurate and in-depth? Do you want to deeply relax the mind and body and prepare to safely open and close your energy centres so you can build a bridge between your mind and the Divine Mind? "Unlocking Your Natural Psychic Ability"
Two unique audios created by Lee exclusively for her clients and now available to you! Choose from two unique titles, both designed to help you unlock, unblock and open up the Divine Mind. 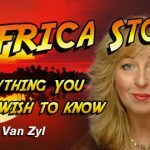 Lee Van Zyl is a gifted and highly experienced clairvoyant psychic with over 25 years experience. Not only does Lee offer personal consultations, but is also an advisor to corporate business, both in the private and public sectors. If you would like to receive my Monthly Astro-Forecasts to your inbox each month, just sign up below! "Lee is amazing as all of her predictions came true at a time when I really needed it"
"Lee was referred to me when I was at a cross-roads in my life. Her insights were so profound and her predictions guided me straight into the West End and beyond. Thank-you Lee"
"My own personal readings with Lee are always met with sudden amazement at the accuracy of her psychic ability and every reading proved beneficial to my personal and corporate life, leaving me with a great sense of satisfaction. Lee not only saw into my future but her inspirational advice and ideas were always spot on." "I've known Lee for nearly seven years now. I was interested but sceptical about tarot and all things clairvoyant until I met her, and I've always found her readings to be spot on. Her comments are intelligent, accessible and illuminating. She’s made me trust in my instincts and listen to them. They're never wrong, and neither in my experience is Lee." "I can honestly say that without Lee I would not have had the courage to set up my business on my own or achieve the success that has come from this decision. Lee empowered my choices and actions over the years by her uncannily accurate and specific insights that time and time again have proved to be precise and spot on. And when the "going" gets tough, I call Lee and I recommend you do the same."